The Relationship Blog is keen on relationships. However, we also spend some time dealing with health and family issues here. This winter I'll be publishing a few articles around the latter 2 subjects. Today, How Clean Is Your House will look at ways you can deep clean your home to prepare for those nasty winter bugs waiting in the cracks to let loose on us. At present your house is nice, warm and spotlessly clean. All the diy projects and draught proofing have been done as you settle in for the colder months. You keep the surfaces wiped, the corners dusted, and the floors scrubbed. Surely, there are no harmful germs lurking around in unexpected areas? This is where you're wrong. Germs are everywhere. They enter our homes when we walk in with our outdoor shoes (I don't allow outdoor shoes inside the house). We bring in small residues (we can no longer see) of stale dog urine and faeces left on the road. Pets leave dangerous germs all around our homes too. We eat contaminated meat we buy from the store. All these add up and travel around rather quickly. Can cause allergies and negative respiratory reactions. They can look like mould or mildew. They're the most 'friendly' types of germs because we can see and smell them. They can exist on dishcloths or any other place that is kept damp. Your chopping board is one of those places if you don't clean it properly. These are invisible to the naked eye and come in pretty shapes like E-coli and salmonella. This are quite resilient. Invisible to the naked eye, these little beauties can exist for a couple days on their own. They cause flu and other illnesses and love to fly about when given the chance. 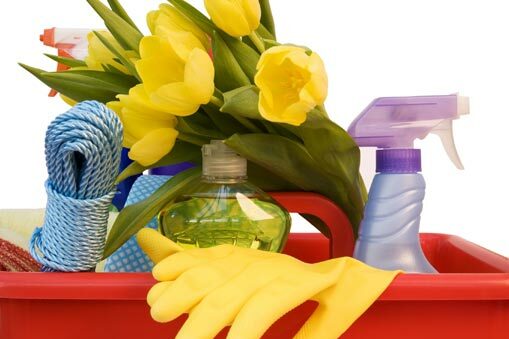 First of all, contrary to popular belief, you don't need specialised cleaners to deep-clean your house. If you anti-bacterialise (not a real word, but you get the drift) everything, your family won't get the chance to develop a healthy immune system. At the same time, leaving everything dirty can seriously harm your kids - and yourself. Moderation is key. ~Wipe your taps daily when you clean your kitchen surfaces. ~Scrub your chopping boards daily. It's important to have different boards for meats, breads and vegetables. ~Wipe the light switches (in bathroom and kitchen) with a dry cloth tipped in a tiny amount of bleach. It can't be wet! You can guess what your kids get up to before they turn the lights on and off in the bathroom. ~Wipe your toilet flush twice a week. If someone has a virus, wipe it each time they use the loo. And don't forget to wash your hands after cleaning! 1. To get rid of garlic smell on your fingers: rub with a stainless steel spoon while washing them. 2. For clean smelling towels: never dry them on or near heat. 3. For clean smelling sink: boil 250ml of vinegar and pour down the drain. Leave for half an hour before using. 4. For a clean-smelling shoe cupboard, sprinkle baking soda inside smelly shoes and leave overnight. 5. For clean-smelling bathrooms, buy normal bath soaps in bulk and leave them unwrapped in a bowl in your bathroom. 6. For a clean-smelling kitchen, place a slice of bread on top of cabbage when you're boiling it. 7. Put a bowl of white vinegar next to the cooker when cooking fish. Now you know exactly what to do when cleaning your house. Please leave any more ideas or comments you may have in the comment box below. Subscribe to this blog to get this winter's focus on home and health issues. Read up further on more domestic goddess help on this blog. I'll leave you with some helpful books on getting rid of germs when cleaning your house, including one of UK's queen of 'How Clean Is Your House' TV programme, Aggie Mackenzie. Fantastic post, Anne! I love the 7 extra tips to keep clean and smell fresh! wonderful tips on keeping a clean home.